The 8,000-square-foot Aquanox Spa offers six treatment rooms for you to drift off into a world of relaxation. 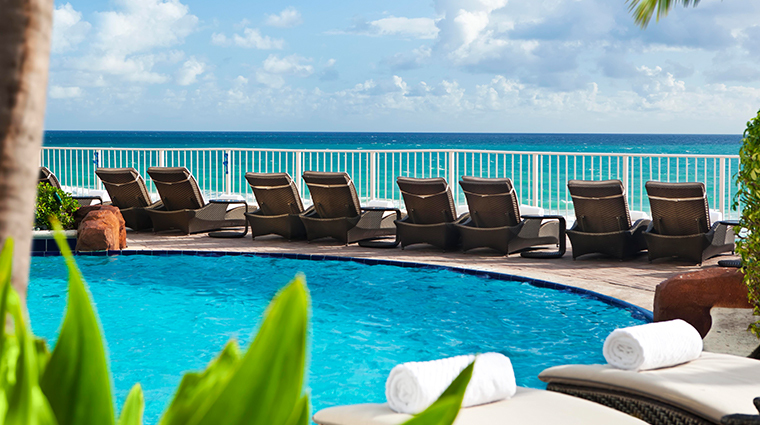 As part of Trump International Beach Resort, Aquanox Spa is located just north of Miami in the community of Sunny Isles. With a menu featuring everything from facials to body polishes, the hardest part of your spa day will be choosing which treatment to indulge in. Whether you opt for the couples package or stick with a customized massage, you’ll step out of your treatment at Aquanox Spa feeling relaxed and ready to take on the Florida sun. The more unique treatments at this Four-Star spa allows guests to enjoy an entirely new experience, whether it's an "aromatherapy soothed by the flame massage" using a lit candle or a 24-karat gold facial that uses the precious metal to firm your skin. Popular with guests who book couples massages, the sparkling wine and truffles upgrades includes - you guessed it - a glass of sparkling wine and delectable chocolate truffles. Warding off any hunger pangs is a cinch, as the luxury spa offers lunch menu you can order from before or after a service. Light, fresh options include hummus served with pita triangles, shrimp cocktail, a house salad, fruit platter and a Caesar salad served with grilled mahi-mahi or shrimp. 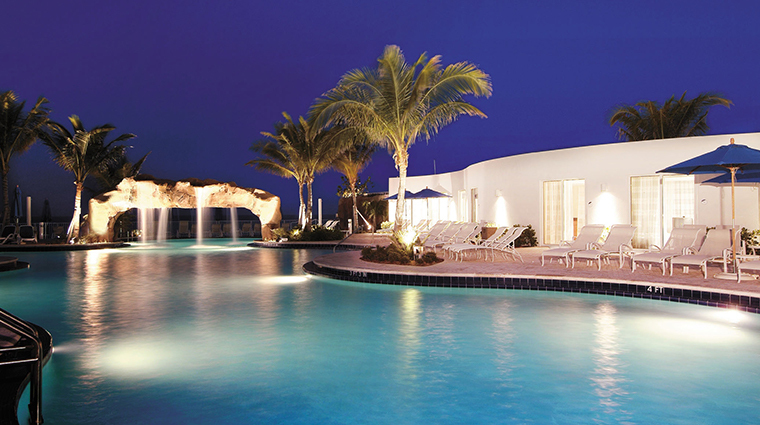 Any guest of the decadent spa is a guest of the beach resort's gorgeous grotto-like pool area. Hotel guests have the comfort of booking any spa treatments on the menu in their privacy of their hotel room. The best way to land an appointment at the luxurious Aquanox Spa is the old-fashioned way: just call the spa directly. Staff are friendly and happy to explain the many treatment options. Weekends are busiest and weekdays, particularly early in the week, are considered quiet times. Whether you’re in need of a massage, facial or an entire afternoon of blissful pampering, the concierge at Trump International Beach Resort can help hotel guests snag an appointment, even on short notice. While we’re all for a day of pampering at Aquanox Spa, a good dose of retail therapy never hurt anybody either. The nearest shops to get your fix are at Aventura Mall (home to many department stores and popular national chains) as well as the ones at the high-end Bal Harbour Shops. If you want to balance out your day of relaxation with some excitement, there are plenty of attractions nearby. The Gulfstream Park Racing & Casino, Mardi Gras Racetrack & Gaming Center and Waterways Shoppes are driving distance from the resort. The Trump luxury facial incorporates Aquanox’s signature eye treatment for softened lines and bright eyes, and includes use of a private beach cabana and a post-service treat of sparkling wine and chocolate truffles. During a bamboo massage, the therapist works out all your knots and kinks with bamboo stalks, which provide deep tissue work and a serious sense of relaxation. Fruity and sweet, the South Florida sugar glow treatment combines sugar cane, tropical oils and fruit enzymes for exfoliation, and is followed up by a comforting warm compress and a hydrating coconut oil rub. The dilo rescue wrap is a speedy way to quench your skin with moisture. It uses dilo nut oil which calms sunburns and brightens up dull skin. Virgin coconut and exotic nut oils are massaged into your scalp during the dreamy milk and honey scalp treatment. Aside from a bevy of blissful treatments at Aquanox Spa, the space is also practically overflowing with luxe amenities. The living room-like relaxation lounge is a dreamy little space where you can curl up on a comfortable couch and devour magazines and tea before your treatment. The best way to take a piece of your pampering session home with you is to hit up the well-stocked spa boutique on the way out. It’s filled with Sonya Dakar skincare and beauty products as well as great gift items like candles and spa robes and slippers. Located right next door to the spa, the fitness center, which is free for spa guests, is generously sized and fully loaded.